A donation to CASA of Robertson County is an investment in our county's future. CASA provides life-saving advocacy to abused and neglected children each day. We are committed to growing and serving those who are still waiting for a CASA volunteer. CASA volunteers provide guidance, advocacy and hope for a safe, permanent home to abused and neglected children. No child should have to go through the child welfare system without a CASA volunteer by their side. But fewer than half of the children in the state’s custody have the support of a CASA volunteer. 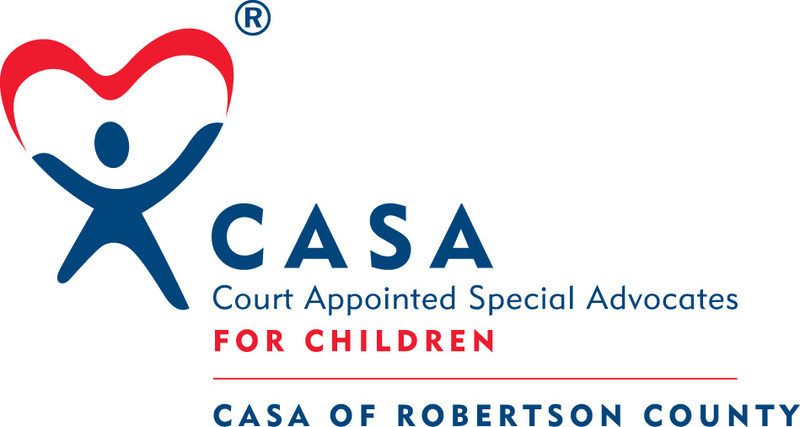 CASA of Robertson County’s vision is to provide a CASA volunteer to EVERY child who needs one. For just over a dollar a day you can make sure an abused and neglected child has the care and support of a dedicated CASA volunteer. Giving makes you a hero in our eyes. Your gift, no matter the size, is truly precious. Giving ensures that CASA volunteers will continue to have a remarkable impact on the lives abused and neglected children throughout Robertson County.